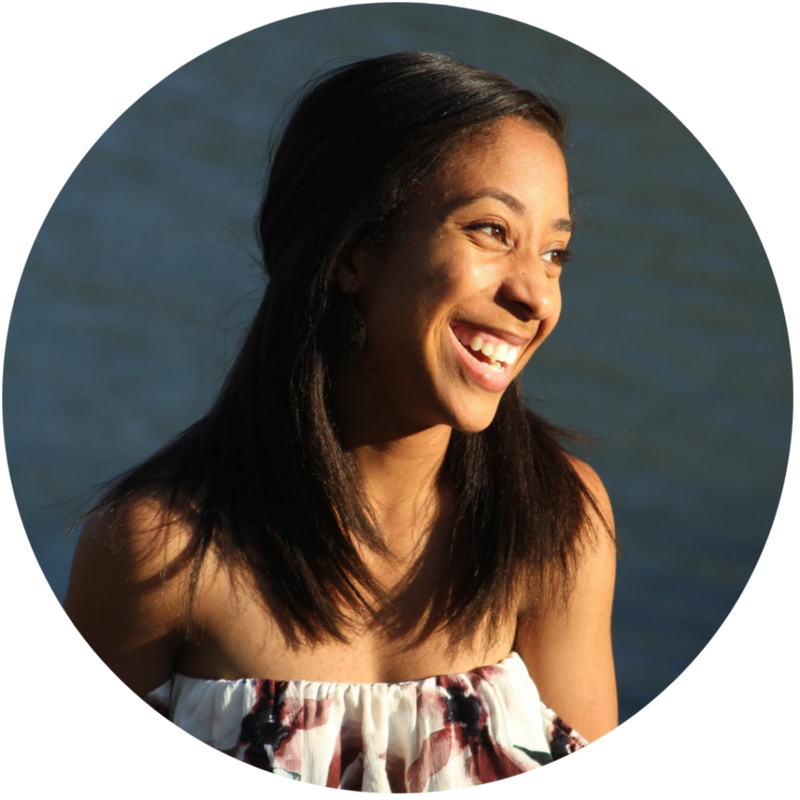 Thanks to the TriValley CoderDojo team for letting us adapt a blog post written by Dojo volunteer, Kalyn, so we can share their insights here. You can read their post on the TriValley CoderDojo website. Although they’re often under appreciated, soft skills are critical in the tech industry and beyond. 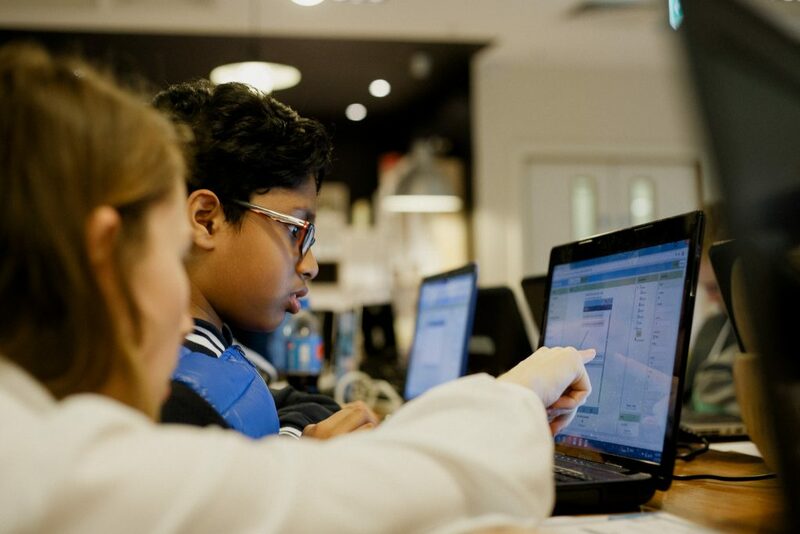 They’re often not particularly emphasised in tech organisations and schools, which means the work done at Dojos is not only exceptional, it’s revolutionary. Encouraging such abilities is necessary for fostering the next generation of tech innovators. So here are four future-proof skills and how Dojo sessions help Ninjas develop them. This term covers a very long list of things including public speaking, negotiation, verbal and visual communication, intercultural communication, and conflict resolution. The importance of these skills cannot be overstated, since communication is the basis of every human interaction we have. And whether young people want a career where they start their own company, or freelance, or work for a major conglomerate, they need these abilities so that they can excel at job interviews, interacting with coworkers, giving presentations, networking, and even vying for promotions. Chances for Ninjas to practice their communication skills are abundant at Dojos. At TriValley Dojo in California, USA, for example, kids practice their public speaking skills by presenting the Dojo rules at the beginning of each session. And in Dojos around the world, young people showcase the projects they are working on at the end of each session; if Ninjas are unsure about how to do something, they learn to discuss their issue with their peers and mentors to figure it out. All this fosters a community where the members are encouraged to advocate for themselves and for others. In school, group projects are often reviled or revered, but the main idea — teamwork — is found far and wide. It permeates every aspect of life including the workplace, volunteering, friendships, and extracurricular activities. Teamwork can teach the art of persuasion, of empathy, and of how to deal with difficult or uncomfortable social situations. Whether or not you’re a fan of it, you cannot deny that teamwork is essential to navigating pretty much every situation in life. Teamwork is also a hallmark of CoderDojo sessions. Young attendees collaborate to troubleshoot problems, figure out solutions, and come up with new ideas; they work in teams to present their projects and encourage one another to answer questions. CoderDojo is not only a community of learners, but also a giant team. And teamwork is not limited to the coders themselves, but is also important for the Dojo volunteers as well. As completely volunteer-run clubs, Dojos and the learning opportunities they offer would not exist without the teams of mentors, volunteers, and parents who work together to make them possible. Critical thinking is also a vital skill in today’s world, regardless of what profession you may want to take up; problem solving, flexibility, and creativity all fall under this umbrella term. The ability to think through and fix problems makes people an asset as workers in any field, especially technology. Jobs in the tech sector are oftentimes at the forefront of innovation, and as such, answers cannot always be found online or in textbooks. This is where the importance of critical thinking shows itself: whether it’s troubleshooting an old problem, brainstorming how to solve a new one, or inventing completely new technologies — creativity and flexible thinking are key to being effective. Critical thinking is key for the young programmers at CoderDojo to methodically work through projects and find solutions. Anyone who’s used Scratch, Python, Java, or another programming language knows that coding is not always a smooth process. Uncertainties arise, but these present fantastic opportunities to learn, and to develop a self-directed style of learning. As the Ninjas attend more Dojo sessions, they become used to using their critical thinking skills to not only solve problems, but to persevere and triumph over them. Leadership lies in many daily tasks of work, especially decision-making and managing of predictable as well as unpredictable situations. You can be a leader with or without an official title; you can be a leader by example, or someone to whom others go to for advice or guidance. The importance lies in taking responsibility and encouraging others to do their best. At Dojos around the world, leadership takes the form of peer mentoring and taking initiative in projects and presentations. From taking part in their first icebreaker activity, to presenting their projects at the end of sessions or Coolest Projects showcases, and in many moments in between, at Dojos Ninjas will learn what it means to be a leader. Whether that takes the form of encouraging a new member to be brave and lead an activity, or of a smaller moment of mentorship, for Ninjas the Dojo sessions are regular lessons in leadership. And as they become more comfortable, fully realize their own potential, and understand the power of peer mentoring, the leader within each child begins to shine through. 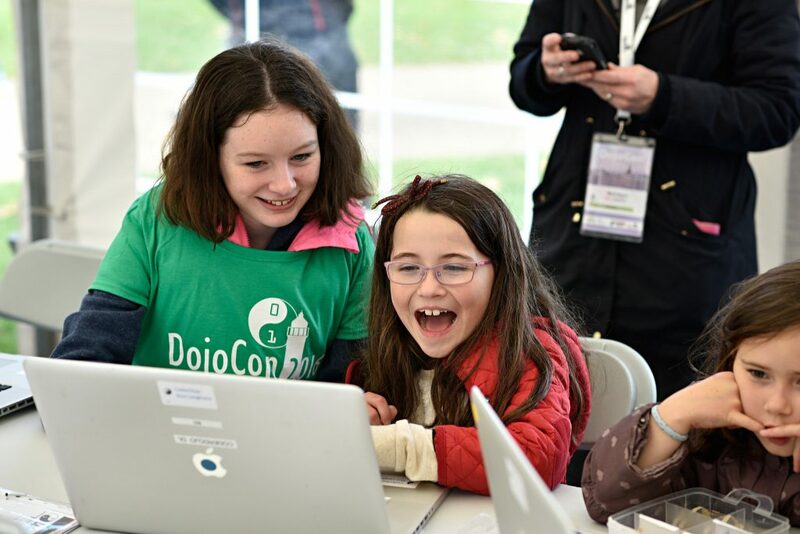 These four skills play a key role in enabling kids to become leaders and agents of positive change, and in CoderDojo sessions, they are learned in a fun, creative environment. 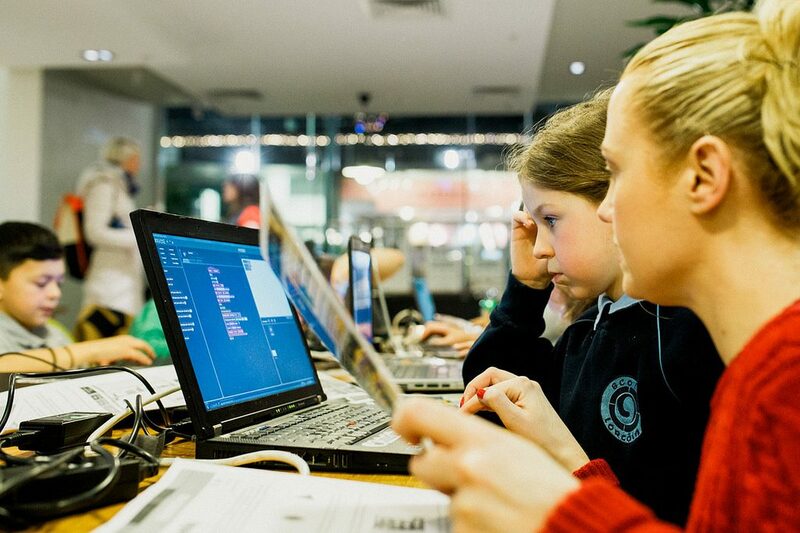 See how easy it is to start a CoderDojo club for the young people in your local area here.